We have a petition to bring Shell Love Bug home! Denise Dillon organized a petition to stand up to Lee County to bring Shell Love Bug home to me so I can share her with the community that helped birth her…. the Sanibel and shelling communities. Now we have a way the everybody can help… sign this petition! Visit ShellLoveBug.com to sign, comment and share this petition! If you believe we have been treated unfairly, then CLICK HERE! We don’t have to be a resident of the county do we? As a shell artist I know how hard it is to create a shell design, gluing 1 shell at a time physical and mentally! I’ve been gluing seashells for 14 years. It’s more than fair for Pam to bring back the shell bug to her possession! Pam Rambo and the Shell Love Bug are synonymous with Sanibel! They belong together in Sanibel – please do the right thing and bring that Bug back! Those of us that visit from afar enjoy so much the opportunity of hearing about Sanibel and the Love Bug and it’s exploits with Pam. The Bug belongs with her! Signed!! The Shell Love Bug belongs to you, Pam!!! Signed! The Shell Love Bug is yours and needs to be with you. We’re all behind you!!! This story upsets me greatly. I can feel your attitude with the local commissioners is correct. You have done so much to help this community. I have lived on an island since locating here after grad school almost 37 years ago. New comers are continuously trying to change things for the worse! I’ll back you with whatever I can do!! Pattie, St. Simons Island, Ga.
bring the shell love bug home!!!! So glad to finally know why we haven’t seen your wonderful blogs and videos for so long…. petition is signed! So proud of you for staying strong and rising above the county’s pettiness and greed! The Shell Love Bug belongs with Pam. Signed, sealed and delivered!! I signed for my husband and myself. We collect up here (we’re in Delaware), and I’m a pebble junkie. Plenty of that around here, especially in Cape May across the bay. The husband? Shells. And they’re pretty thin on the ground in those parts — we’ve found only a handful that aren’t broken, or aren’t super common. I decided to surprise him after years of his patience with my pebble hunting by trying to scrounge and scavenge up a trip we could afford for shells. He put it very wisely when I told him about this situation: “They need to reflect on the folktale of the golden goose.” We’re penny-pinching poor folks, and I can guarantee we’ve still put at least the cost of this car into the county’s coffers over the course of our first few visits alone — and we pale in comparison to the people you’ve drawn to the area repeatedly that likely have much more to spend. It’s foolishness in the extreme on their part. Mom (who had one of the original old school superbeetles she miraculously kept running until I was in high school, and it was ‘born’ before me!) and the husband (a lifelong VW devotee) also sent more than a little side-eye at the county because bugs are all about the love, and you just don’t separate a bug from its Momma no matter what! As an artist myself, this truly breaks my heart. I have been so inspired in my work thanks to our travel there, and more than once it’s been the kind of relaxed, mellow, meditative trip — sorting shells is good for the soul! — we’ve needed to keep positive in trying times. You have genuinely inspired, and you’ve done genuine good for so many, all of whom are grateful to you for it and would be happy to do whatever we can to help. Even though it may seem impossibly hard, try to remember that is something they can never, ever take away from you. We’ll be down there again in late October and into November for our first ‘two week splurge’ trip, and our sixth visit to the area, and all have our fingers crossed that we may catch a glimpse of you driving the bug, and it will be safely home with you where it belongs by then. Pam, I was so thrilled to read today that the court has ruled in your favour for the Shellbug case to proceed. I truly hope the county does the right thing and hand over the vehicle to you. I miss your blog, Pam. So, so sorry that that your beloved Love Bug has caused so much stress in you life. I am praying that you win your case. Just read the recent article in the local paper. This situation breaks my heart. I’m still hopeful that they do the right thing and you get your beloved Shell Love Bug back. Stay strong. We’re all behind you. Pam, any progress in this fight? I so miss your blog. I loved your shelling tours and travel info (I copied your trip to Turks and Caicos for a fabulous trip!). Wishing you the best. Pam I really miss your blog. I’m so sorry politic has to get in the way of things. I sure hope you get your car back. Sanibel is one of our favorite place on earth! I can’t count the times I’ve checked your blog since April 3, hoping for positive news – or any news. I completely understand your need to step back, but please, please, don’t even dream for a moment that you, Clark, and your furry ones have been forgotten. 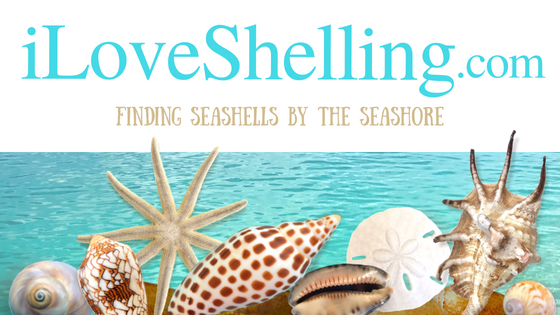 Devotees of yours and “I Love Shelling”are your champions! And our Sanibel seashells often bring you and concerns for your well-being to mind. I continue to hope the Lee County Commissioners might one day see the greater picture. Perhaps the tragic loss of staggering numbers of wildlife and marine life and the devastation to the gulf coastline – wrought by Red Tide – will spark the Commissioners to realize that when all is said and done, The Shell Love Bug’s intended purpose as ambassador of good-will and tourism ($$$$!) will be desperately needed. May her accelerator soon be under the foot of Pam Rambo, speeding toward the revitalization of Sanibel Island and Lee County! Pam, we miss hearing from you and hope you and Clark are doing as well as possible, considering the unfair political situation and the devastating red tide. You and Sanibel are in our prayers. I miss this blog and the posts from Pam very much. Pam was such an ambassador for Sanibel! How could we find out how the shelling is without Pam? Dear Pam, even in far away Germany I am a fan of your blog and all your wonderful shelling stories. I miss your posts! It would be a pity if there weren’t more to come. I hope you are doing fine and wish you all the best. Bad form Lee County. We may visit but we wouldn’t want to live with you. As a Lee County resident and tax payer, I fully support bringing the Shell Love Bug home to Sanibel Island. The value of the shells, labor and artistic design far exceed the monetary value of the car alone. The Shell Love Bug was designed to represent Sanibel for the t National Shell Day. It should stay with Sanibel. Pam and her husband have both been ambassadors for not only Sanibel but SW Florida. Their positive attitudes and knowledge of the area drew us and others back year after year to the point of my husband and I wanting to relocate to the Lee County area. No true sheller puts family shells or favorite shells from their collection on anything that they think will be lost to them forever. We believe Pam was told the car would be returned to her. If she has possession of the car, she will use it to be the ambassador for SW Florida as she has always been. This shell-luvbug belongs with its Momma! Pam has educated thousands of people from all over the world to the beauty and fascination of seashells. How could you possibly think she would give this shell-labor of love to you permanently ? Sounds like your corporate attorney tried to pull a fast one on a dedicated Florida resident. Nasty politics!